Survivor South Africa is a South African version of the global reality competition Survivor created by Charlie Parsons, in which contestants are isolated in the wilderness and compete for cash and other prizes. 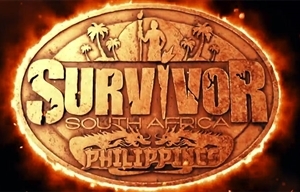 The show, produced locally by Endemol South Africa, uses a system of progressive elimination, allowing the contestants to vote off other tribe members until only one final contestant remains and wins the title of "Ultimate Survivor" (in most other countries the title is "Sole Survivor"). Survivor South Africa was announced by pay channel M-Net on Tuesday 11 April, 2006 and premiered on Sunday 3 September, 2006. It later aired on DStv's M-Net Series, M-Net HD, Vuzu and M-Net Series Zone channels. Survivor is a reality game based on the highly popular Swedish show Expedition Robinson, in which a group of castaways competes on an exotic location for a grand prize (in the case of Survivor South Africa - R1,000,000). Producer Mark Burnett licensed the rights to the show in 2000 and renamed it Survivor, which today is a worldwide reality television hit. The South African show is made and produced by Endemol South Africa and is co-produced by Strix Entertainment, the international format rights holder. Strix provided all the resources and infrastructure (including camera crews) for all Immunity Challenges and Tribal Councils. Strix also provided the logging facilities for the daily rushes. South Africa was the 35th country to produce its own Survivor. Survivor SA returns to M-Net, SABC3 has a drama about the Kennedy family and check out TLC's deliciously tacky new series.